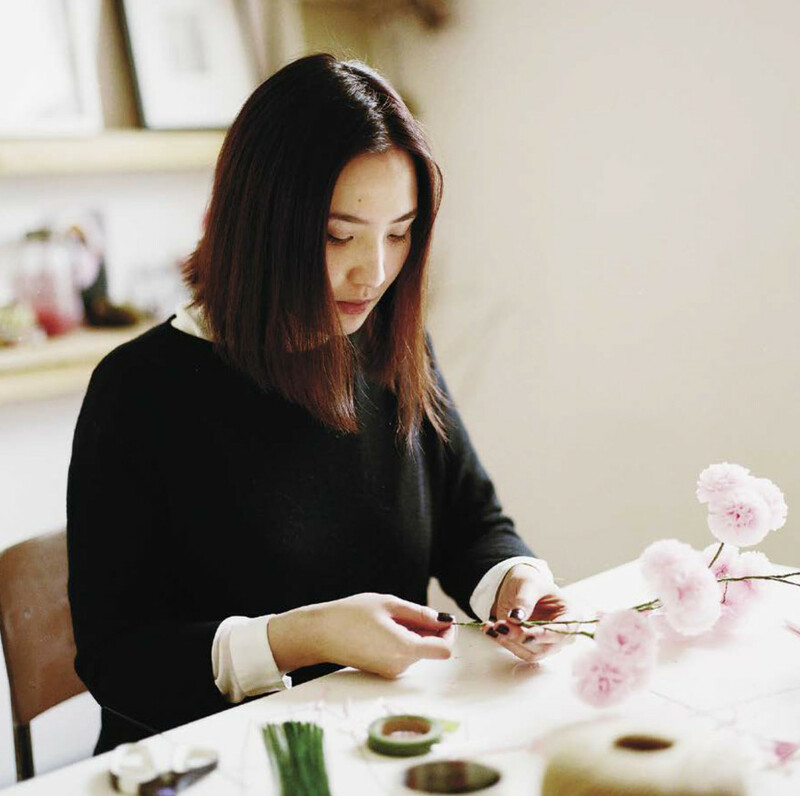 This one to one intensive paper flower workshop is perfect for someone who needs to find the perfect gift for their first wedding anniversary ( U.S. ) or 2nd wedding anniversary (U.K.) . 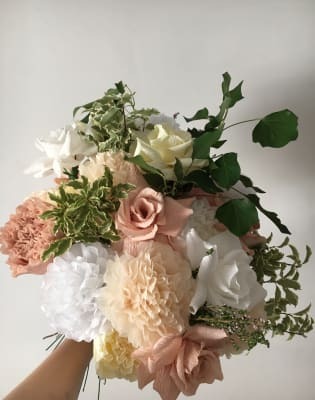 You will learn how to recreate your wedding bouquet or any flowers you would like to make. 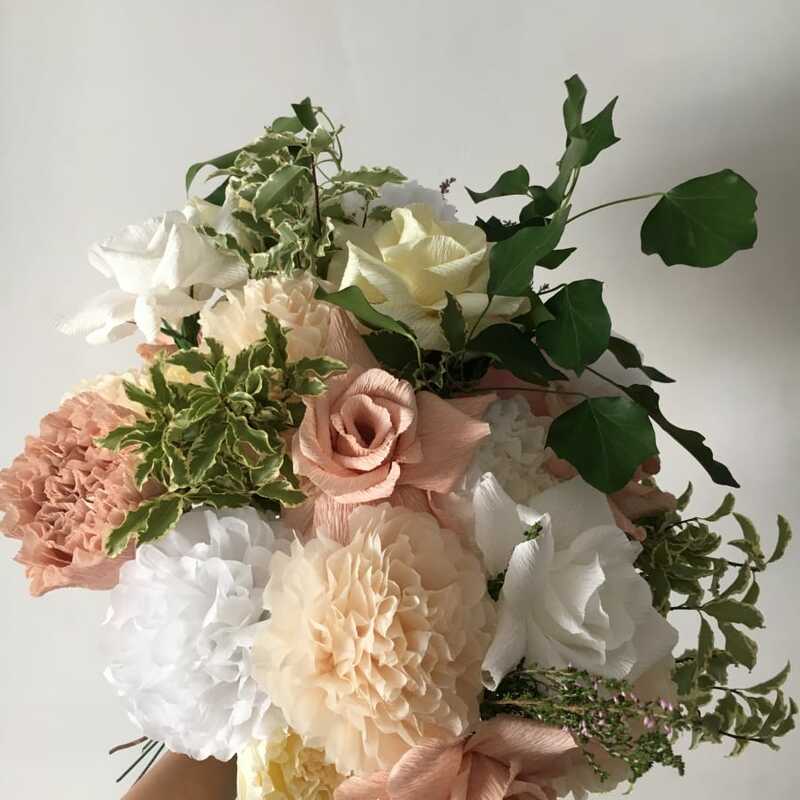 You will learn how to make one type of flower in this workshop, email us if you would like a longer workshop to learn more flowers. We will provide real foliage and arrange the bouquet for you at the end of the workshop. 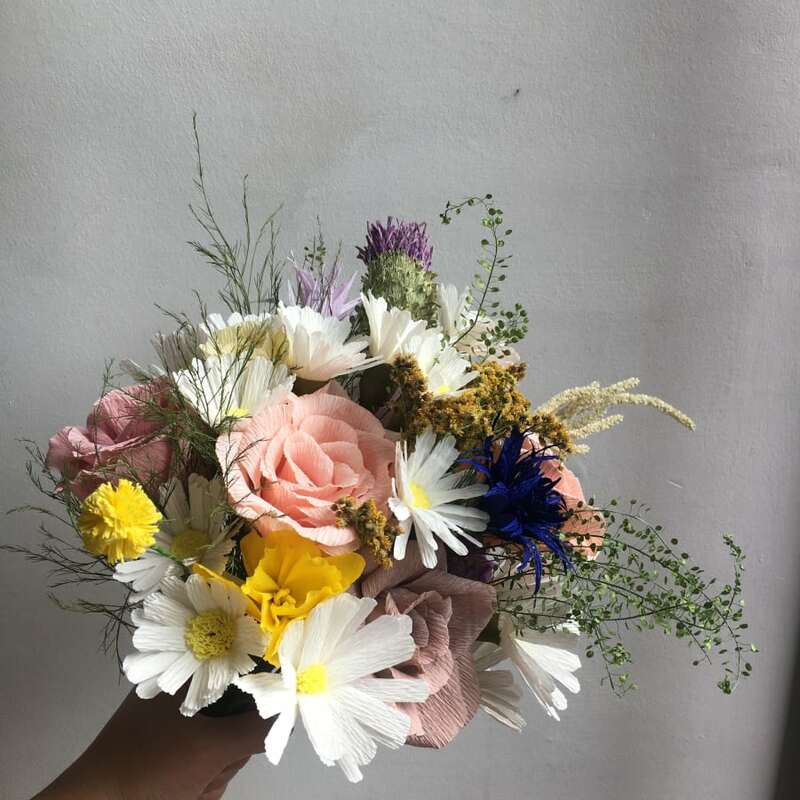 Please send over an image of the flowers you would like to make a week before the workshop.